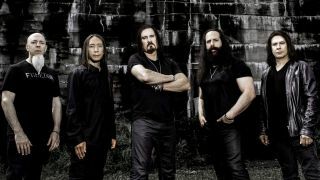 Dream Theater have released an audio stream of their brand new single Untethered Angel. It’s the first material taken from the band’s upcoming studio album Distance Over Time, which is set to arrive on February 22 via InsideOut Music. Untethered Angel is the first track on the album – the follow-up to 2016’s The Astonishing, and can be listened to below. The record was produced by Dream Theater guitarist John Petrucci, who said: “I really wanted this recording to truly reflect the spirit, joy, and passion that went into making the album and for people to walk away feeling some of the organic nature, personality, and raw energy that the band captured while together in the studio. Dream Theater will head out on tour across North America from March next year and have also been confirmed for a handful of European dates, including an appearance at Hellfest on June 21.